These romantic estate earrings feature a quartet of golden rings set with a single round cut diamond. 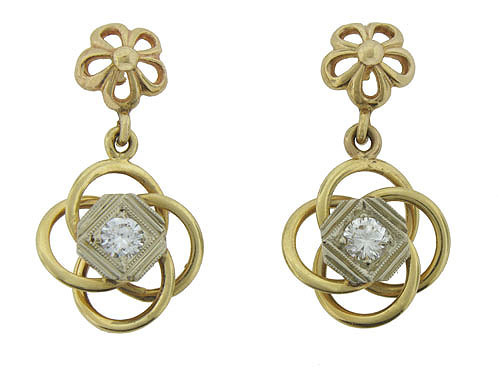 The spinning rings dangle from floral cutwork posts. Fashioned of 14K yellow gold, the earrings measure 7/8" in length, 1/2" wide. Circa: 1950.